Bhuj:The Border Security Force (BSF) in the bordering Kutch area of Gujarat has found an abandoned boat in Koteshwar creek area. 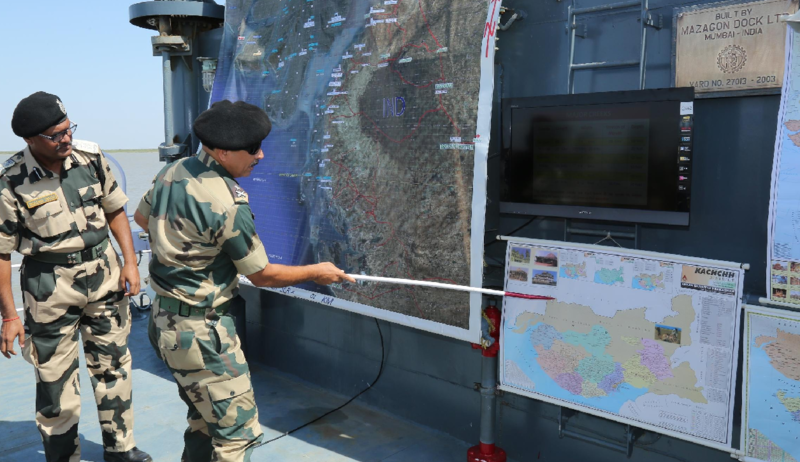 A BSF official said that the boat was found abandoned by the patrol team. In primary investigation nothing suspicious has been found in the boat which was looking like a fishing boat. He said that in marshy creek area which was rich in prawn and other sea food items, Pakistani fishermen sneak in with such boats for fishing.